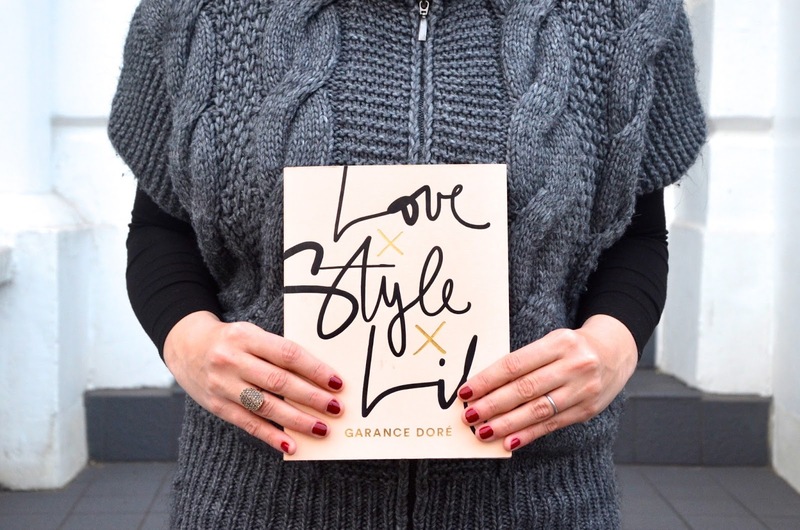 When I bought Love x Style x Life by Garance Doré I must admit that my purchase was mostly motivated by all the pretty photos of the book on Instagram. I picked it up in a train station bookstore after spending a good 20 minutes or so browsing my Instagram feed while waiting for some family to arrive. I wasn't the least bit apologetic when someone asked what it was about and my reply was quite simply, "I don't know." I have been familiar with Garance Doré and her amazing blog, photography and illustrations for years, so I didn't need a proper introduction other than its beautiful cover, but I had no idea how amazing this book would be! Reading Love x Style x Life is like pouring a cup of coffee and snuggling up on a cozy couch next to the best friend you never knew you had. Garrance Doré is quite candid about love, turning 40, family, personal style and her professional journey, sharing intimate details, funny stories and so much wonderful advice, but she does it in such an open and casual way that it starts to feel like she's an old friend and you've known each other for ages. It's because of this relaxed storytelling style that Love x Style x Life is like the fiction series that makes you sad when it's over because you'll miss the main character (Hunger Games anyone?) except this book is about a real person. Garance Doré's story is refreshing... I love that she doesn't seem to be sugarcoating anything, gracefully admitting that she works in sweats, doesn't have a desk and isn't so good about responding to e-mails. My favorite part of the book featured her typical daily schedules at various stages of her journey. She's a proper girl boss and having started her chosen career with not much more than an idea and sheer will, she's an inspiration. Whether you're a fellow blogger, starting a business, working for a big company or not at all sure what you want to do with your life, there's something in this book for you. Her story proves that hard work, a realistic sense of self, positive focus and a healthy dose of determination are the only things we need to make our dreams a reality and if that's not terribly appealing, there are also some fabulous fashion insider stories, beauty tips and style suggestions to win you over. This is a book that looks like a frilly girly fashion book (no shame in that, we all love them - I have a shelf full of them!) but it's actually that and so much more. If you only buy one book to take to the beach this summer, buy this one... You won't be sorry - it's a must-read! Thanks for the commentary! I'll have to check this book out.